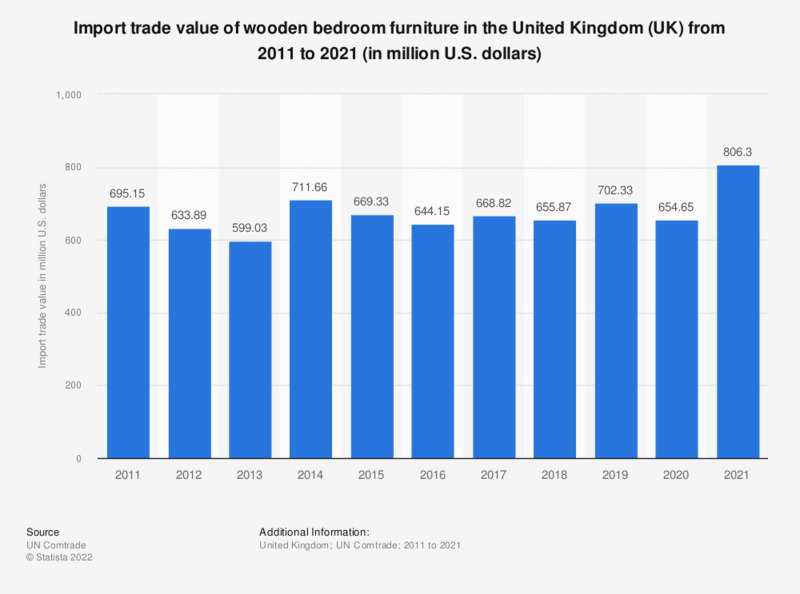 This statistic shows the import trade value of wooden bedroom furniture in the United Kingdom (UK) between 2011 and 2016. Overall, the import trade value decreased by more than 50 million U.S. dollars from 695.15 million U.S. dollars in 2011 to 644.15 million U.S. dollars in 2016. The data in this statistics has been rounded to two decimals.